Home Education Announcing the Merger of XD Innovation and Consensia Inc.
XD Innovation, LLC and Consensia Inc., two leading Dassault Systemes partners have joined forces to help accelerate product development and innovation in high technology connected products. Englewood, CO, August 30, 2018 — XD Innovation is a Dassault Systemes value solutions partner, education services provider and an accredited certification center. With strong focus on emerging high technology segment (Hyperloop, VTOL, EVs, Robotics, etc. ), XD Innovation strives to help their customers innovate more effectively by providing best in class technologies powered by Dassault Systemes 3DEXPERIENCE Platform, backed by world class services and consulting. Consensia provides software products, solutions, services and training for Dassault Systèmes portfolio across high technology, semiconductor, and medical device industries. Consensia will complement XD’s strengths in these key industries with consulting solutions, internally developed best practices and tools for ALM, PLM, and product traceability. “Consensia is excited to join forces with XD Innovation to bring our high technology industry background along with deep Dassault Systemes technology experience and implementation expertise to XD Innovation’s clients,” commented Sanjay Keswani, Consensia CEO, who will join XD leadership team as Head of Professional Services and Consulting. “XD Innovation is very pleased to welcome Sanjay Keswani and Consensia. XD Innovation is building a high quality team and a full portfolio in line with our customers needs and expectations. Consensia brings years of experience in PLM project delivery and an impressive portfolio of customers and solutions around semiconductor and ALM domains. As more products become smarter, this will be crucial to cover the full product innovation domain from mechanical engineering to electronics and software/firmware. This will also allow us to expand our physical presence in the San Francisco Bay Area,” added Soufiane Elaamili, Managing Director, XD Innovation. The larger organization will allow XD Innovation to provide a broad spectrum of services and more industry depth to their clients. A larger organization will also mean their employees will benefit from even more and stronger career opportunities. If you have any questions about this exciting news and what it will mean for you, please contact any of us at any time. 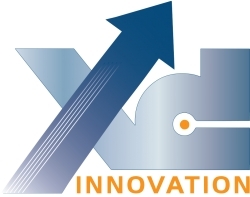 XD Innovation looks forward to discussing what problems they can solve for you and your organization: https://www.xdinnovation.com/.